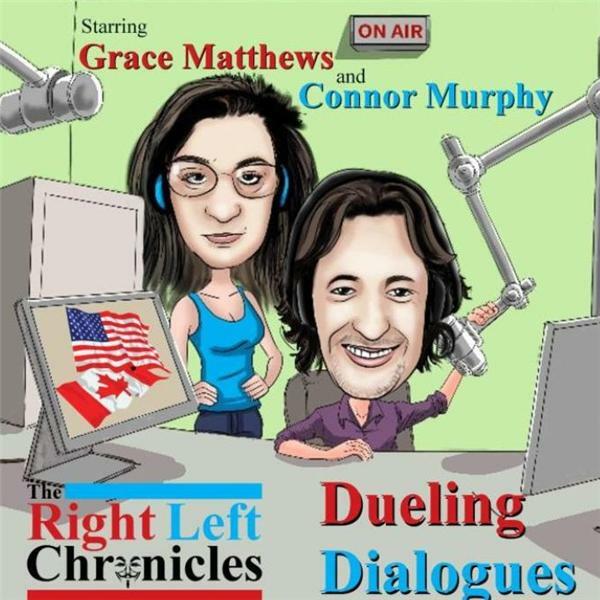 Dueling Dialogues Ep. 50 - Is Bullying and Body Shaming the New #MeToo? Join Grace and Connor for an alternative view of the news. On today's show: Is Bullying and Body Shaming the New #MeToo? NYC pipe bomb goes off prematurely, injuring the terrorist. Keaton Jones, a 6th grader from Knoxville TN has his video on bullying goes viral and stars and celebrities step up to support him. The 14 worst states for body shaming. Pentagon allows transgenders to enlist starting January 1st, 2018. Roy Moore falls behind in the polls. Baker Mayfield wins Heisman Trophy. Trump speaks at new Mississippi Civil Rights Museum to demonstrations. Trent Franks resigns from congress due to sexual harassment over surrogacy requests to 2 staff members. Justice Department launches probe into Planned Parenthood possibly selling fetal tissue. Chef Mario Batelli steps down after allegations of misconduct with 4 women. Jerry Jones wants to stall on Roger Goodell's NFL contract for 6 months. Three of Trump's sexual harassment accusers want a congressional probe. CNN covers Trump's diet of junk food while terrorist bomber incident was happening. NBC refuses to launch investigation into Matt Lauer. star August Ames commits suicide for homophobic accusations. The 13th human foot and shoe washes ashore in BC, Canada, since 2008. Mexican lawyer Antonio Battaglia launches Trump toilet paper in Mexico to 'soften' the borders to what Trump called rapists and drug traffickers. Proceeds from sales go to immigration legal fees.